I’ve missed the space where I felt I could truly be the person I imagine myself to be. That space is here on your screen behind the guise of WordPress. I’ve been away from my site and my notebook for far too long, long enough where I can’t even fathom calling myself a blogger, writer or even creative spirit. It’s a source of guilt and potentially shame for me. Where have I been? I’ve been immersed in a new world, professionally while struggling to stay afloat in the same personal world. I’m running in circles dealing with goals of relationships and weight loss, but I’ve been swimming In a new sea of professional growth. Last time I was here it was my final year of my Masters Program at New York University’s Steinhardt School of Culture, Education, and human Development while maintaining full-time job as a financial aid counselor. I was a part-time fashionista (in my head), part-time blogger and full time mess. Today I stand as a NYU graduate, a Developmental Specialist for Upward Bound Programs at the state university of New Jersey, and still a full time mess. So much of who I might have thought I was feel like a ghost of who I am yet if someone asked me to describe myself I’m not even sure I could find the proper adjectives to do so. I’m at a phase where I feel guilt for possibly enjoying some of the things I did at 25 or 22, like partying all night and vegging in front of the TV, but not having new things to do to change the discourse. I feel guilt that I’m 28 and dealing with “single girl” issues years after I first entered singledom. Feeling lonelier and lonelier as I celebrate weddings and showers for all my friends who have left the single girl club and entered meaningful relationships and marriages and parenthood even. I deleted Facebook for over a year, from April 2012 until August 2013 the only people’s happiness I had to bask in and secretly envy were those close to me, but now with the reactivation of my account everyone I’ve ever met has their new lives in my face which cause me to place the microscope on all the things I don’t have. Oh you sill single Jakora? Smh. Oh your still a renter girl, shame on you! Oh girl, your will struggling to drop 20 pounds? Wow. Social media has become a portal for voyeurism followed by guilt which leads to the devaluing of my self worth as I compare myself to others. But wait? Aren’t we not supposed to compare? But can someone tell me the secret to having everyone’s life posted on your timeline and not compare? Is it by practicing gratitude? Showing off your own accomplishments? 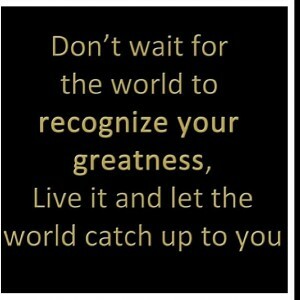 I find a hard time accepting and honoring my own accomplishments when I’m busy comparing to others. I am a girl who survived, right? I’m doing more than many people I knew growing up and I’m in a career that I only imagined, doing things I never foresaw. I graduated (albeit in hella debt) from two great American institutions of higher education. One just this May. But all I can think is: I haven’t saved enough money. I haven’t lost the weight I wanted t. I don’t have someone to share it with. I haven’t done XYZ and I’m not in ____ place. When will I feel like I am enough? I have enough ? I’ve done enough? When will I stop seeing myself as the girl from the small town with a drug addicted mother who was on food stamps and assistance to the woman who has works hard and supports herself, helps her family, loves her friends and family, who is smart, funny, caring and kind? Where is the 12 step program for self worth? I had the greatest experience this week. 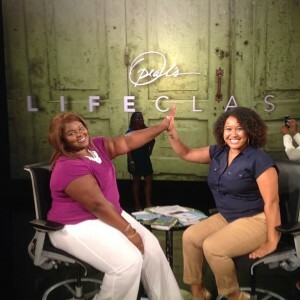 Jess allowed me the privilege of accompanying her to Oprah’s Lifeclass with Brené Brown. In preparation for this I listened to Brené’s audio book / session titled, The Power of Vulnerability: Teachings on Authentic, Connection, and Courage. Dr. Brown’s work centers on shame and vulnerability and in this audiobook I’ve though my ken shame triggers and points of vulnerability. In the taping of the show I realized how many different types of armor I wear to shield myself from Vulnerability, including being a tough cookie, cynicism, detachment, shrinking myself. All this information and enlightenment about my struggles frightens me because I don’t know where to begin the work to change. I’ve been putting up armor in both professional and personal parts of my life. Professionally I’ve been struggling with perfectionism to hide my vulnerability with being new. I mask my fear of being alone in life with being cynical about dating and pretending that I love the single life. I stopped being hopeful about a future and started focusing on what was right in front of me. Even when I got my Tarot cards read she read me enough to know I don’t speak up for myself and never talk about emotions, aka SHRINK myself. But I am this BIG person, full of personality. Captivating when entering a room. People want to know who the girl with the big curls is, right? What I’ve enjoyed most about listening to Dr. Brown’s work is she gives great examples that really bring to light every day events that are shame triggers and vulnerable moments that make you not feel bad about yourself, but open a light on all the things we thought were normal, but aren’t. As I jump back onto the path I set for myself last fall, I need to remember that I AM uniquely me. I have a unique voice and nothing that has happened makes me a bad person. I need to recognize the contiued efforts I put into myself are not just because I want to be a better person, but because I am an amazing person (without sounding too about me).